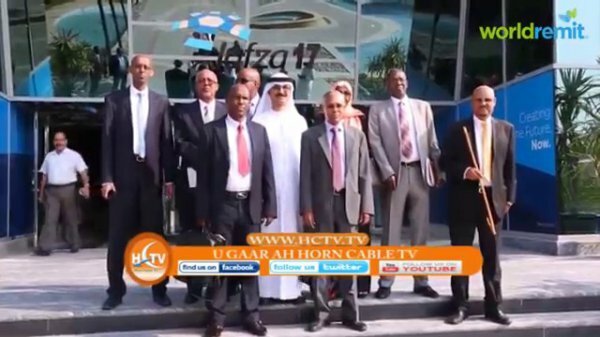 Dubai-based ports operator DP World and Somaliland officials met in Dubai to finalize an agreement about the development of port installations at Berbera in Somaliland. Being unrecognised by the international community even after 25 years of its independence from Somalia, the US$ 442-million investment in Somaliland’s transport infrastructure looks set to foster the country’s trade relations and benefit its overall socio-economic development. A high level delegation led by the H.E. the Vice President Abdurrahman Abdillahi Ismail “Saylici” and other officials including Foreign Minister, Dr. Saad Ali Shire, Minister of Presidential Affairs, Mr. Mahmood Hashi, Minister of Finance, Ms. Zam Zam Aden, Minister of National Planning and Development, Mr. Ali Hussein Ismail, UCID’S LEADER Eng. Feisal Ali Waraabe, Mayor of Berbera and SL representatives to the UAE Ambassador Bashe Awil currently in Dubai are expected to sign the final agreement sealing the DP World-Berbera deal on Monday [5 September 2016]. The term sheet agreement to set up a joint venture company to invest in and manage the Post of Berbera will enable ito to achieve its potential for becoming a regional trade and logistics hub. The US $442 million project will be phased over time and is dependent on the volumes generated at the port. It will also involve the setting up of a free zone to help support the development of Berbera’s trade corridors. The agreement forms part of a larger government to government Memorandum of Understanding (MoU) between the Emirate of Dubai and the Government of the Republic of Somaliland to further strengthen their strategic ties. DP World will be lead implementing partner for the MoU, which covers various other areas of co-operation in agriculture, fuel storage, industrial development, roads and tourism. DP World is a leading international operator of marine terminals and provider of logistics and related services. DP World has a portfolio of more than 65 marine terminals across six continents, including new developments underway in India, Africa and the Middle East. Container handling is the company’s core business and generates more than three quarters of its revenue.